my favourite part of halloween is handing out batches of sweets to the kids that come to my door! this year i decided to do something really easy that would make things waaay more fun. 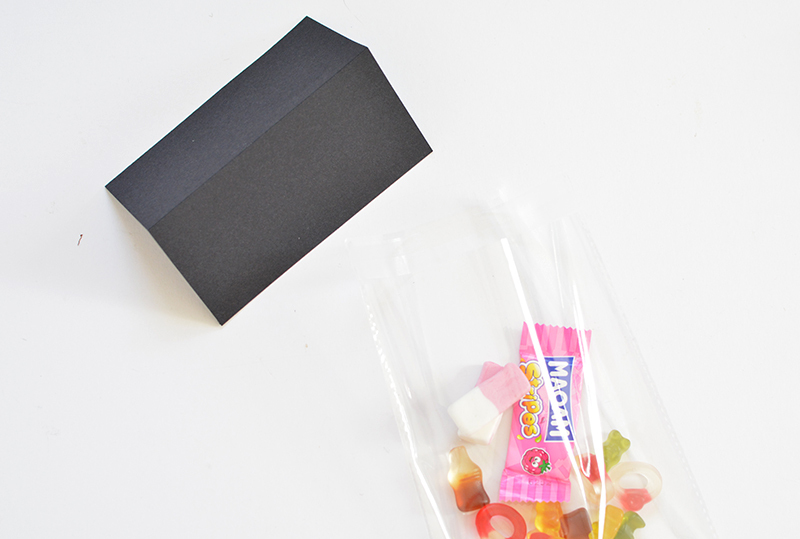 trick or treat bags are the perfect way to package up candy and they're crazy easy to make. (it also means you can hand out an equal amount- i have a tendency to give away half my sweets to the first 10 children that arrive and run out too soon!) 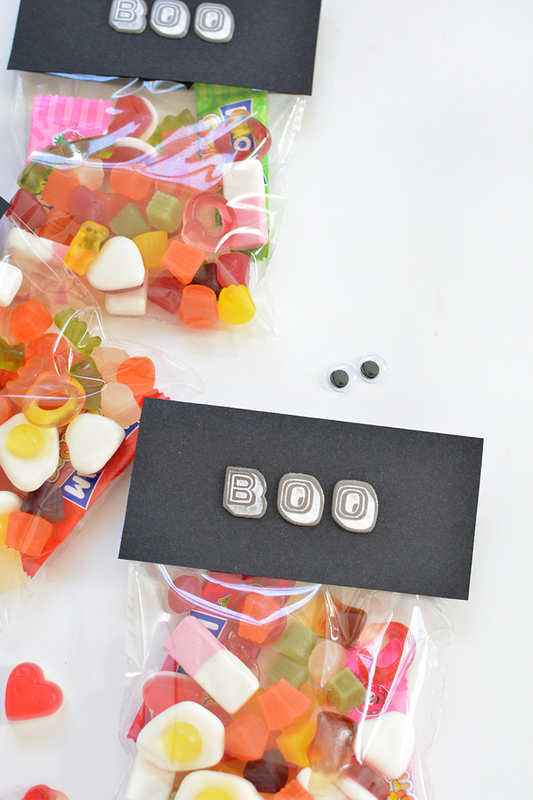 they also make cool party favours if you're hosting a ghoulish halloween party. warning: these will pretty much guarantee you'll be the most popular grown up on the block this year. 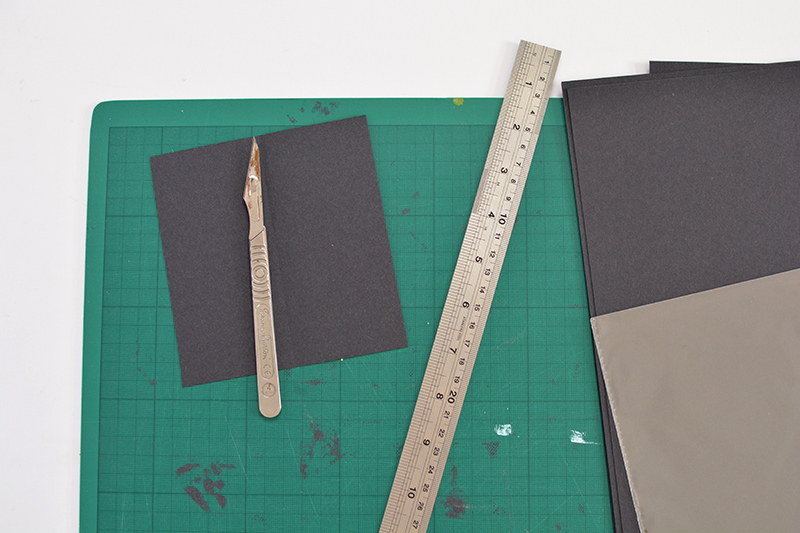 1. to make the topper cut a square of black card the width of your bags (mine was 12 x 12cm.) you'll be folding it in half to make the topper so measure the bags before you cut it out with a craft knife or scissors. lightly score across the middle and fold the topper in half. 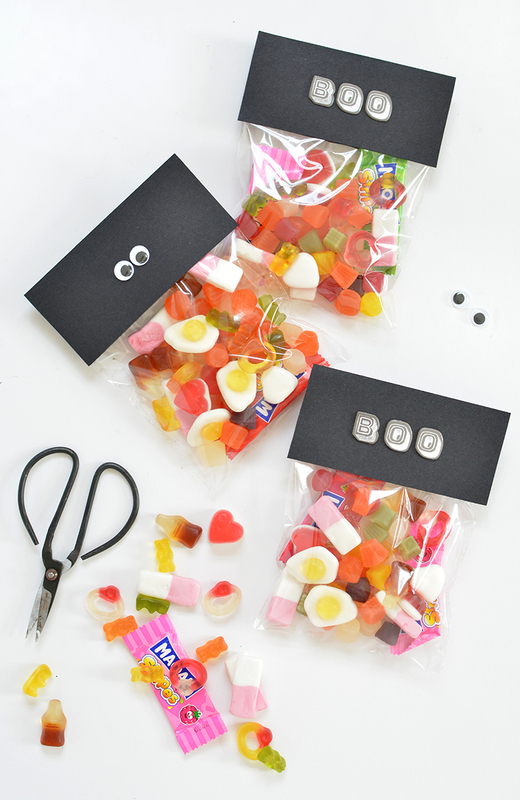 2. fill your cellophane bags with sweets and treats! the biggest issue i had was not eating ALL THE SWEETS! yup, serious will power is required for this DIY. 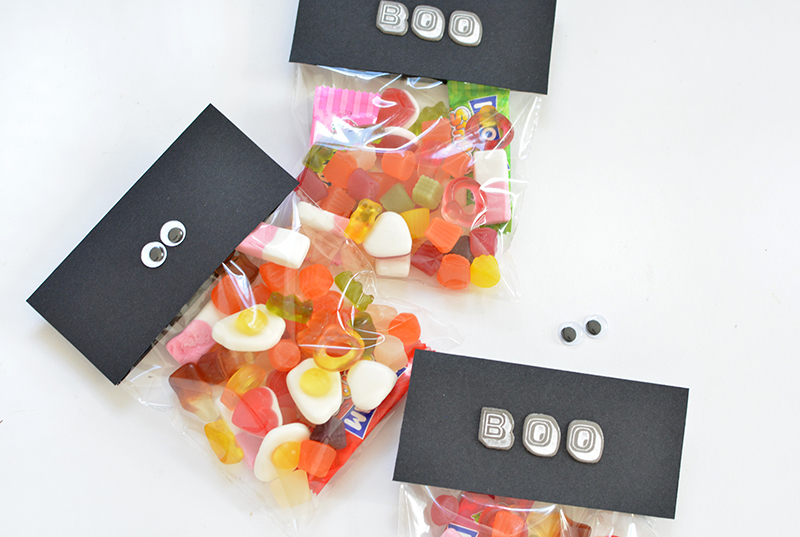 I love the black and white design, I wish we had trick or treaters here so I could craft those bags! 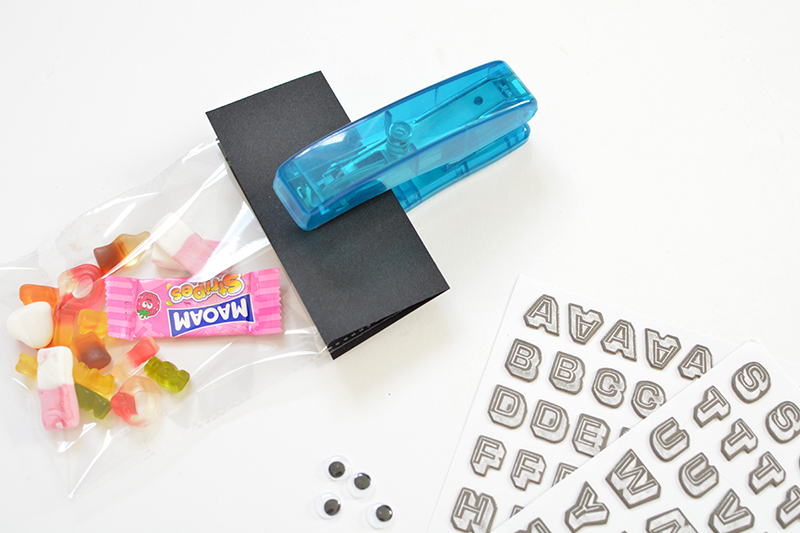 This is such a cute little diy.! I'd love to have these to hand out!